RRSP - What Does It Mean? 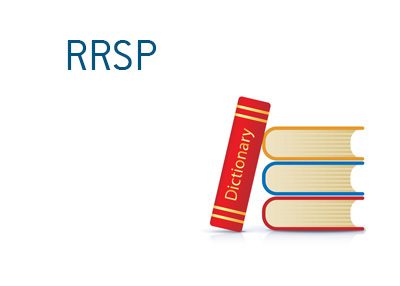 What is the definition of the term "RRSP"? What is meant by a Registered Retirement Savings Plan? In Canada, the RRSP ("Registered Retirement Savings Plan") is available in order to allow people to accrue investment savings that can be withdrawn later in life. Canadians are eligible to contribute 18% of their earned income to their RRSP every year, up to a maximum amount (the maximum amount in 2015, for instance, was $24,930). Contributions are deducted from taxable income, which will reduce the burden of tax that a contributor has to pay. On the other hand, withdrawals are included in a person's income. So, the idea is that a person will contribute during their higher earning years (and reduce their tax burden) while withdrawing in years where they are earning less (retirement). Income earned in the account isn't taxed, though, as mentioned, withdrawals are taxed. So, if a person contributes $100,000 to their RRSP and earns $500,000 in dividends and investment gains, the $500,000 won't be taxed in their RRSP, though if the person decides to withdraw $500,000 in a single year, they will have to pay full income tax on this withdrawal. At the age of 71, a person's RRSP must either be cashed out or transferred to another investment device, such as an annuity or RRIF. There is some argument as to the benefits of the RRSP. For those who plan to follow the trajectory of a typical worker (retirement at 65, lower expenses required upon retirement), the plan makes a great deal of sense, as it reduces a person's tax burden during their higher earning years. However, for those who plan on having a higher income during their 60s, 70s and 80s, the RRSP may not make as much sense.